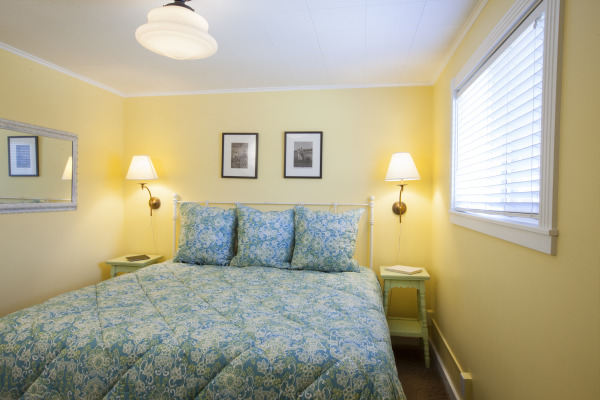 This ocean front one-bedroom suite is located on the second floor of our Sea Sprite at Haystack Rock Hotel. With a glass of wine in hand, enjoy the waves crashing on Haystack Rock. 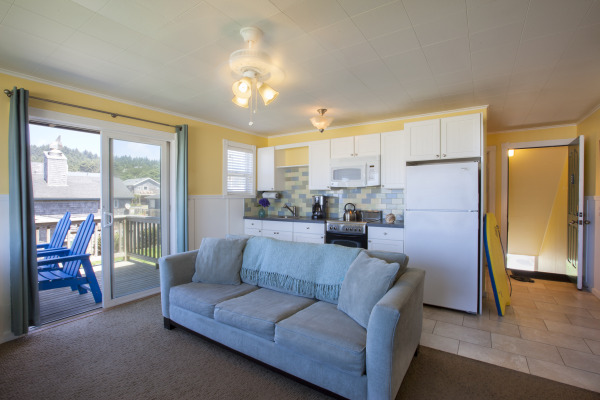 This upper floor unit offers panoramic views of the surf, Haystack Rock and the beach north to Ecola Park. This suite also has a private balcony with equally amazing views. The room has a full kitchen and a gas fireplace for snuggling in front of on those stormy nights. Perfect for a couple or small family, the Haystack Suite features a king-size pillow top bed in the bedroom and a full-size sofa sleeper in the living room. Sleeps 4 people. This ocean front suite offers fantastic views of the Pacific Ocean and coastal range. Our quiet location south of Haystack Rock provides a peaceful retreat for those looking for a place to replenish and renew.